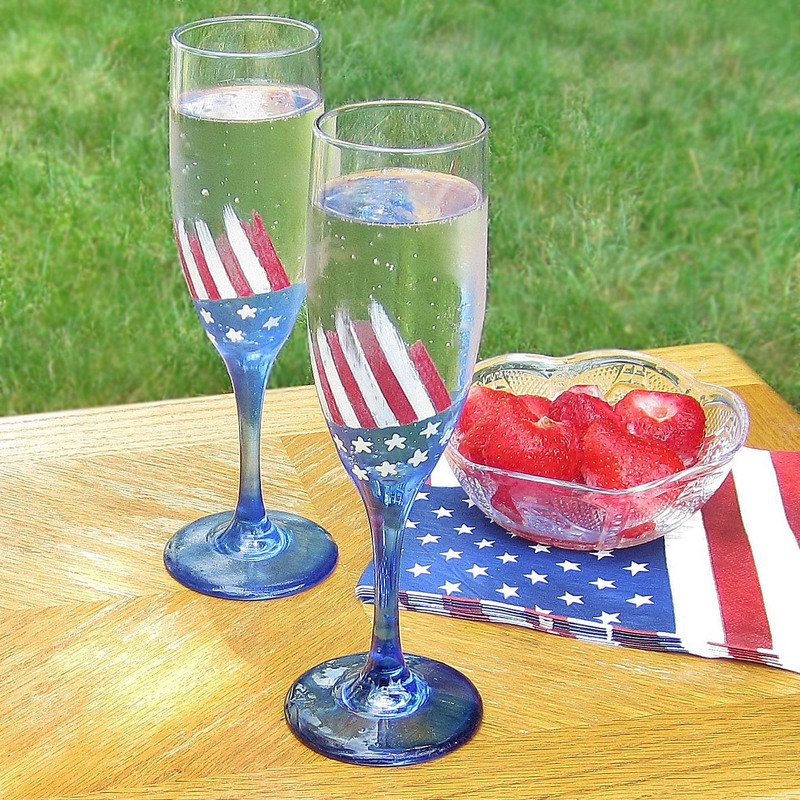 Ever since my post on cherry blossom tumblers I've been really wanting to try glass painting again. 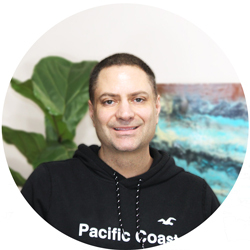 I was amazed how easy it was to achieve great looking professional results. MS glass paints are not only durable but functional. The finished glassware is even dishwasher safe. 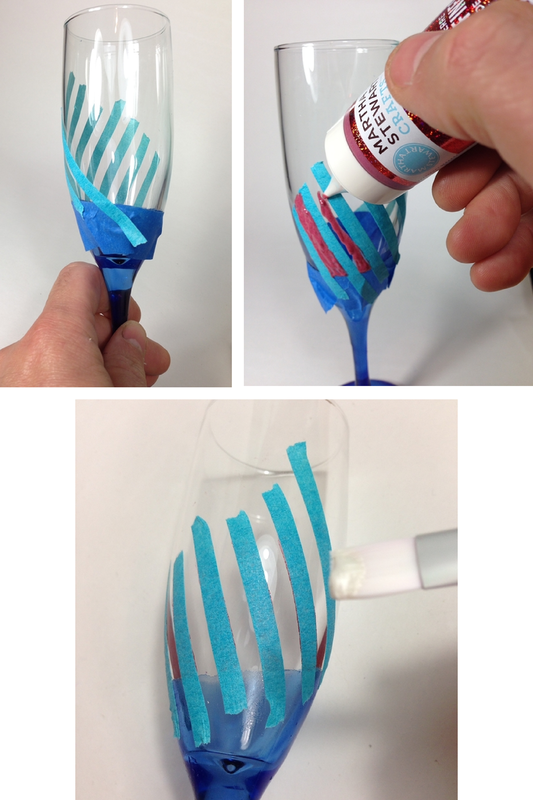 Taping off the bottom of the glass using painters tape or stenciling tape. 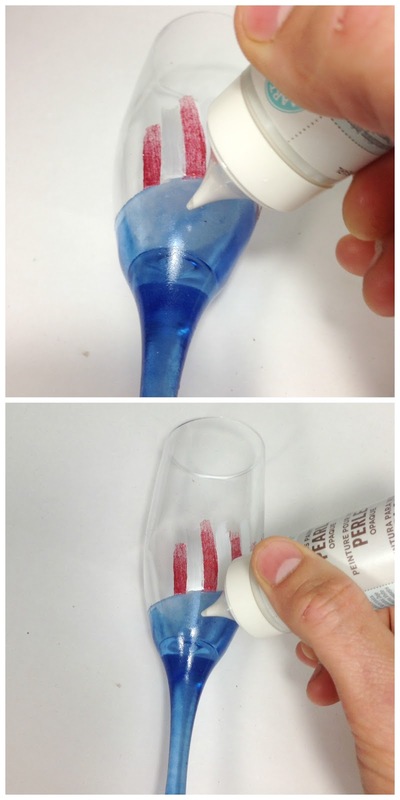 Using rubbing alcohol clean the glass of any finger print oils or residue. Slowly drip the paint or liquid fill down the glass. You're going to use a lot of liquid so you might want to work over a trash can. On my first attempt I tried using the paint right out of the bottle. The result was too dimensional and lumpy. I recommend using a soft bristle brush to smooth the paint across the surface. The glitter paint will require several coats so you may want to leave the tape in place until after applying the last coat. After the red glitter paint is thoroughly dry, tape over it. Apply the white pearlescent paint. One thing I especially love about the MS Glass paints are the pointed tips on the paint containers. 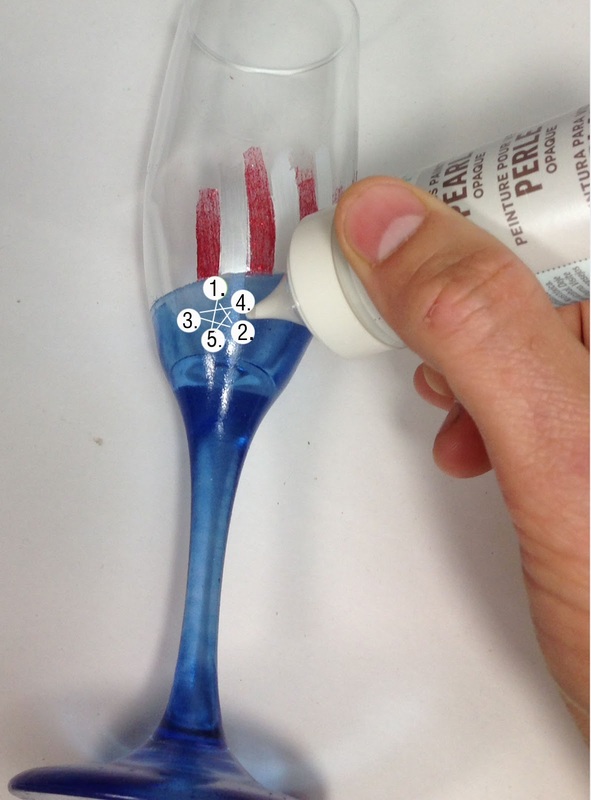 You can easily draw a star using the paint tip by drawing five dots. Simply connect the dots the way you learned in grade school. You might want to practice first but it is actually very easy. In order for the paint to be dishwasher safe you need to cure it. 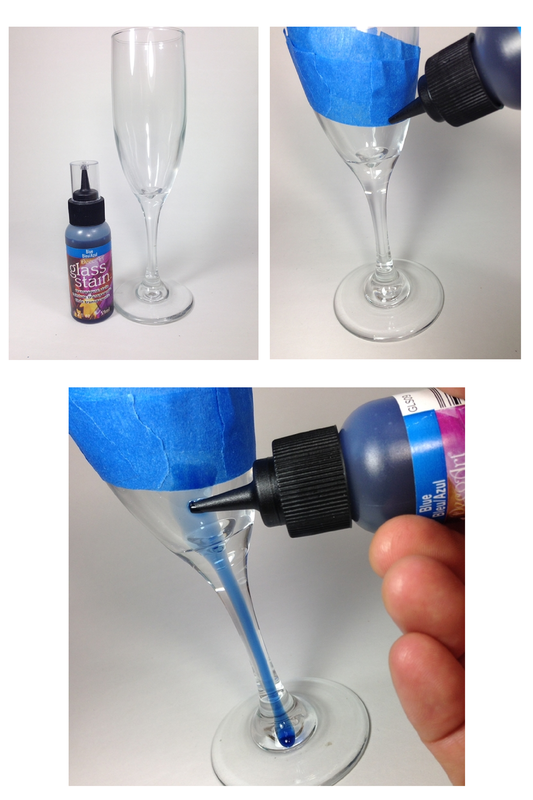 Since this project uses glitter paint you aren't able to use the oven cure method. You have to just be patient and let them sit quietly, undisturbed, in a dry place for 21 days. with just some patterning tape, glass paint and a little patience.